Does anyone have Angora Ferrets? 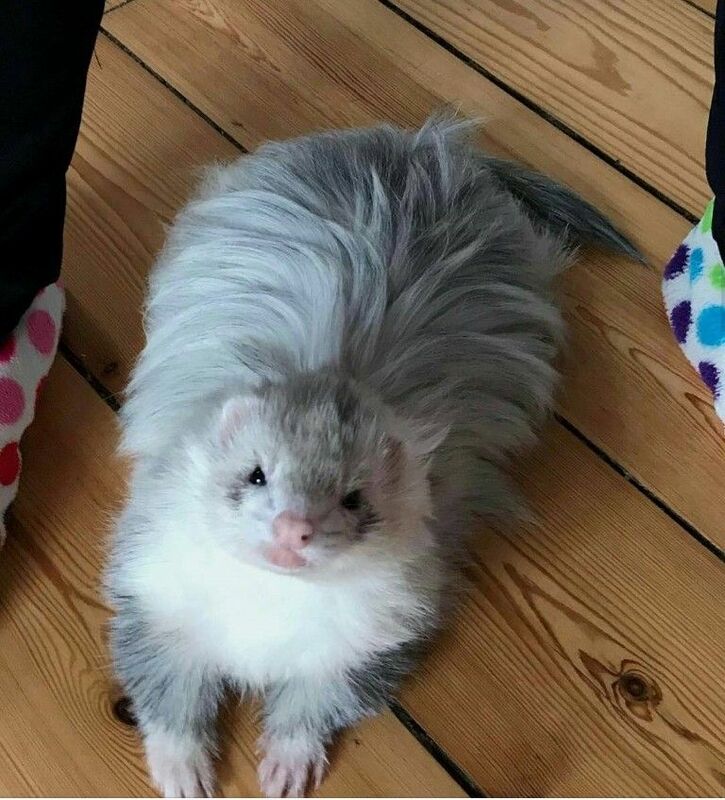 My mum said today I need to get into breeding them as they are sooooooo cute so I thought I would ask if anyone here breeds ferrets of any kind, not just Angora. What are they like as a breeding pet? Re: Does anyone have Angora Ferrets? If you ever find a breeding couple, let me know, I might be your first customer if we can ship it to canada. My son has ferrets - Not angora's , just the plain ones. From what I understand you must have a federal permit to possess intact animals. You did, my mum fell in LOVE with them! Soo... maybe a silly question but are they raised for their fur or just decorative? I understand they can be a bit bitey so how difficult would it be to shear one? Truckinguy wrote: Soo... maybe a silly question but are they raised for their fur or just decorative? I understand they can be a bit bitey so how difficult would it be to shear one? my guess is they're probably similar to long haired cats. So you could spin the fur, but most likelly decorative. It's a pretty recent and rare mutation from the bit of research I did.